One of the island's most stunning cliffside locations. 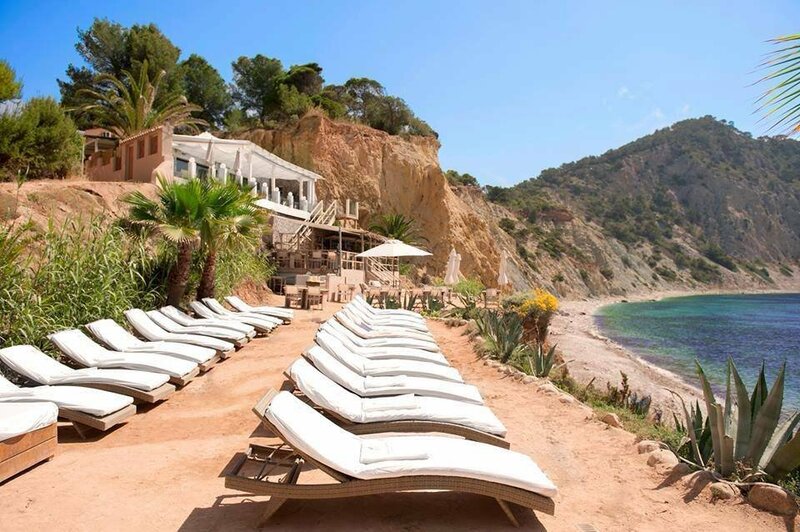 The Amante beach club and restaurant is perched on a cliff overlooking the small bay of Sol d'en Serra. Surrounded by dramatic rocks and lush greenery, it provides an idyllic backdrop for long daytime lunches, fine dining in the evening breeze and incredible parties... all overlooking the moonlit sea. Luxurious day beds, stunning views, cocktails and attentive waiter service make Amante the perfect all-day beach destination, either for a light lunch or a long afternoon of eating and drinking, winding its way into nighttime. From May to mid September, Amante is open every day from 11am until late.